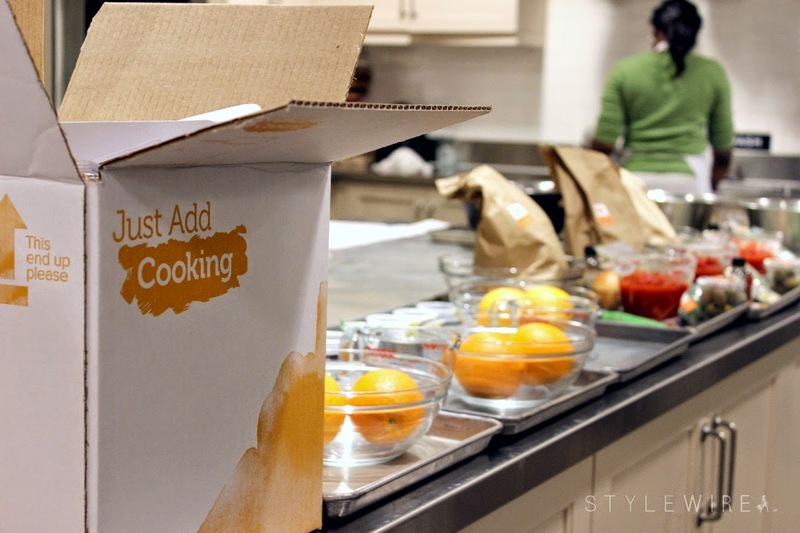 During the holiday season I was invited by Sur La Table and Just Add Cooking for a cooking class and demonstration of Just Add Cooking's simple meal delivery service. I've tried a handful of similar services in the past, and was very excited to try Just Add Cooking's. 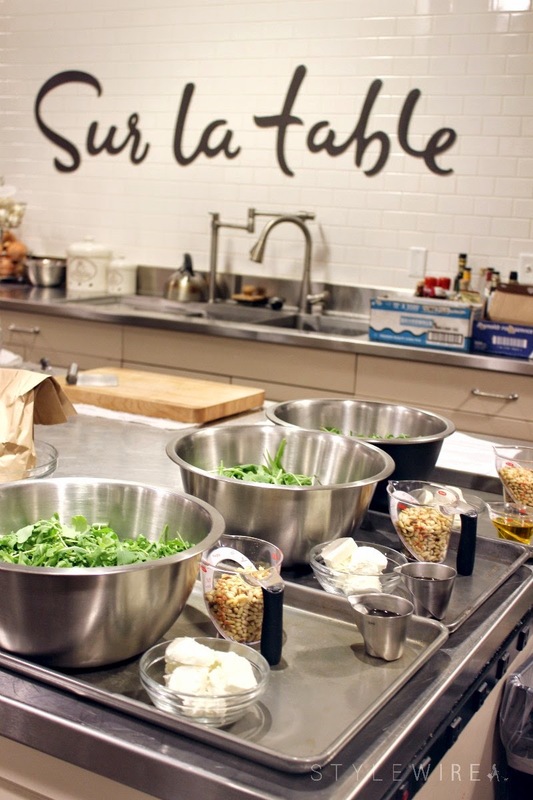 They are based in Sweden and are one of the first to explore the concept in the U.S.
We were led by the gorgeous chef Saba Wahid, who gave us tips and tricks for slicing and dicing while we sipped on wine and snacked on various cheeses. 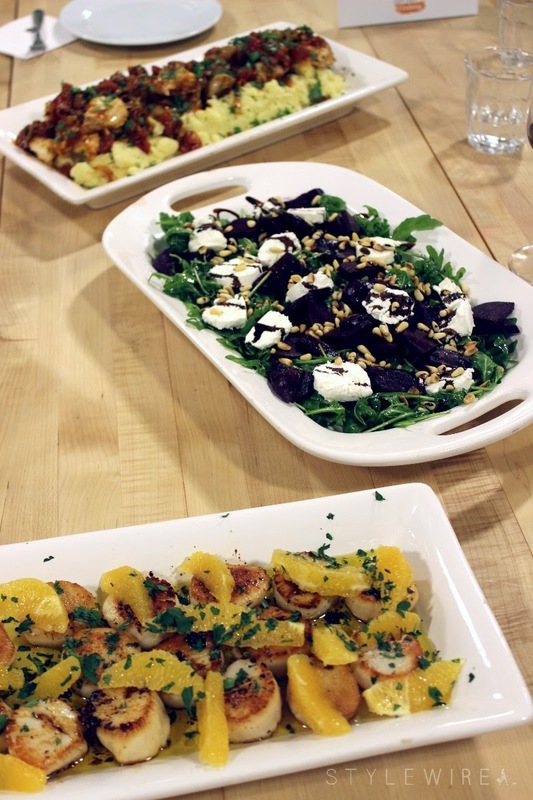 After a quick refresher on culinary basics, we dove into preparing the evenings meal: pan seared scallops in ginger vinaigrette; arugula salad with beets, goat cheese, and pine nuts; and a Just Add Cooking customer favorite, Mexican Cod. Whenever possible Just Add Cooking uses locally sourced ingredients and that evening the scallops and cod were provided by local favorite Captain Marden's. 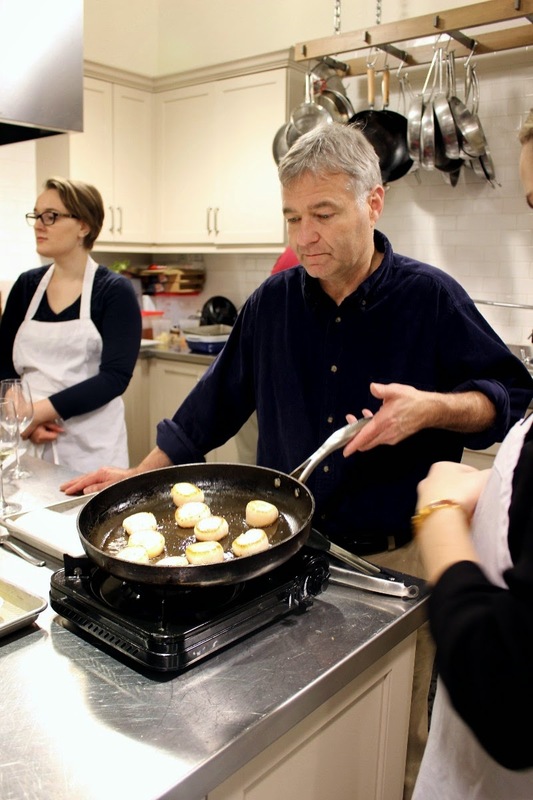 Kim & Kerrie Martin were on hand that evening to show us a thing or two about searing scallops. There's nothing like learning from local experts like Kim & Kerrie! We really hit it off and Kerrie (pictured below searing scallops) shared some of the daily operations behind Captain Marden's; I even helped him place his fish order for the following day. Following the event we were each sent a box to try at home. Unlike other meal subscription services, I found that Just Add Cooking was one of the simplest with the most accurate prep times. So many claim to be 30 minute meals but once you'll often find that doesn't reflect prep time turning it into a much longer process. At moments I felt the directions could have been clearer, but despite that each meal was delicious. My box included Vietnamese style hot pot, spinach & goat cheese risotto, as well as braised chicken with white beans & tomatoes with the hot pot being my favorite meal the bunch. 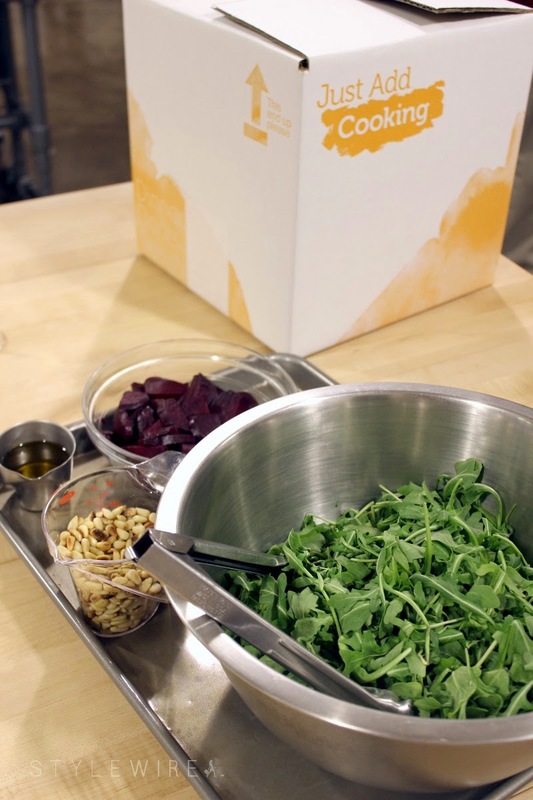 Have you ever tried a meal box subscription service? Now's your chance! 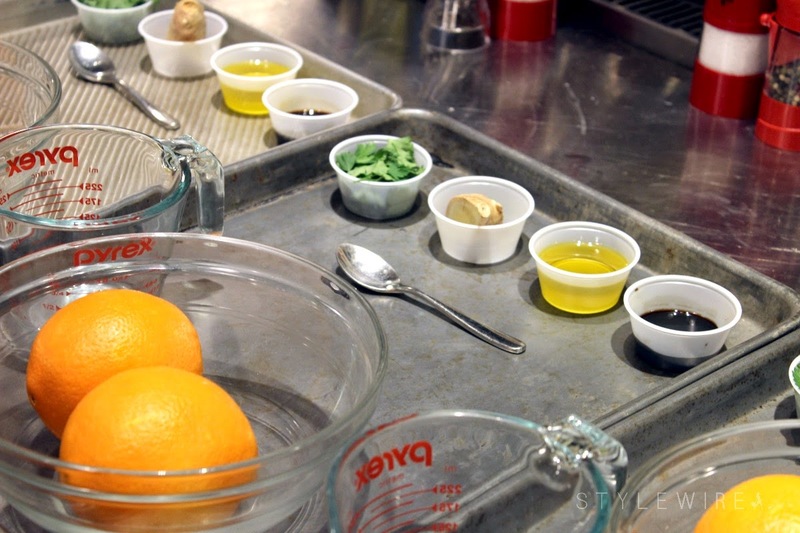 Sign up for Just Add Cooking and receive $20 off your first box with code REFGZ4A.